Rolled edge helps children eat without spills. 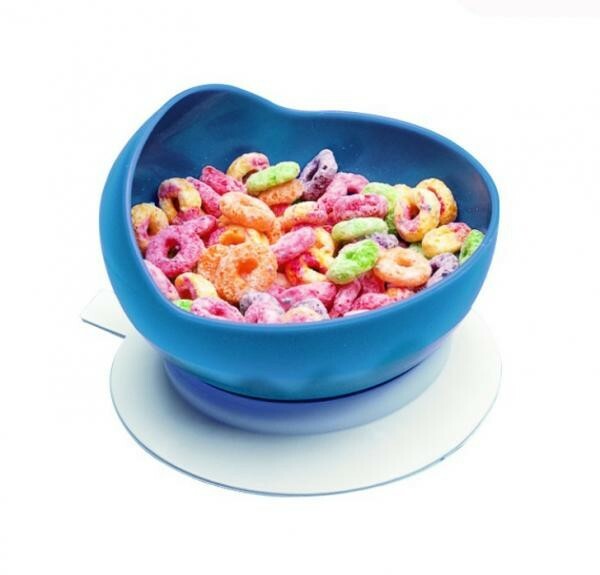 Prevent spills and overflow with the scooper bowl. Children will love the unique shape. Rubber - ring base prevents sliding. Bowl has a 130mm (5") diameter. Top rack household dishwasher safe.